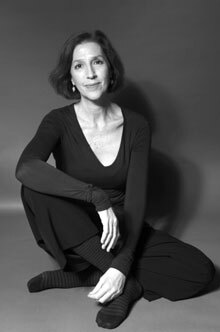 Maggie Cole enjoys a richly varied musical life with performances on harpsichord, fortepiano and piano. Born in the USA, she began playing the piano from an early age. A keen interest in early keyboards led her to England where she now makes her home. Maggie's teachers were Jill Severs and Kenneth Gilbert and she is pleased to be part of this harpsichord "family tree" which began with Wanda Landowska. Best known in Britain through numerous recitals on BBC Radio 3 and appearances at leading festivals, abroad she has performed in venues from Seattle to Moscow, and from Finland to India. In addition to solo recitals - with Bach's 'Goldberg Variations' a speciality, given in London, Paris, Cologne, Basel, Mallorca and Chicago - she frequently performs with duo partners Michael Chance counter tenor, Philippa Davies flute, Nancy Argenta soprano, Catherine Mackintosh violin and Steven Isserlis cello. Maggie also performs regularly with Trio Goya, her fortepiano trio with Kati Debretzeni and Sebastian Comberti, the Nash Ensemble, Britten Sinfonia and her Cambridge USA - based group The Sarasa Chamber Ensemble. With Sarasa she has been able to extend her love of teaching to the development of a program which brings music, improvisation and poetry into facilities for youth offenders. From the 20th century, Maggie plays concertos by Falla, Poulenc and Gerhard. Gavin Bryars has written 'After Handel's Vesper' for her, and she takes every opportunity to programme works by Dodgson, Hallgrimsson, Ligeti and Andriessen. Maggie has recorded a recital on various harpsichords for Hyperion and a CD of Scarlatti for Saydisc. These were followed by several on Virgin Classics; a JS Bach recital, the Goldberg Variations, Antonio Soler keyboard sonatas, Boccherini sonatas with Steven Isserlis, and Poulenc's Concert Champêtre with the City of London Sinfonia conducted by Richard Hickox. She has recorded the complete JS Bach flute and harpsichord sonatas with Philippa Davies, and the complete Bach violin and harpsichord sonatas with Catherine Mackintosh. Her CDs on fortepiano include "Mozartiana" - music for cello and fortepiano with Sebastian Comberti, Haydn trios with Trio Goya and works by Schubert for violin and fortepiano with violinist Jaqueline Ross. As well as leading workshops and teaching privately from her London home, Maggie is professor of fortepiano at Guildhall School of Music and Drama and teaches early keyboards at Dartington International Summer School. American born, MAGGIE COLE enjoys an international musical life playing and recording on harpsichord, fortepiano and modern piano. Resident in England, she is best known through numerous recitals on BBC Radio 3 and appearances at leading British festivals. Abroad, she has performed in venues from Seattle to Moscow, and from Finland to India. In addition to a busy solo career, she enjoys duo partnerships with Michael Chance counter tenor, Nancy Argenta and Julia Gooding sopranos, Philippa Davies flute, Steven Isserlis cello and Catherine Mackintosh violin. She also performs regularly with Trio Goya, her fortepiano trio with Kati Debretzeni and Sebastian Comberti, the Nash Ensemble, Britten Sinfonia and her Cambridge USA - based group The Sarasa Chamber Ensemble. With Sarasa she has been able to extend her love of teaching to the development of a program which brings music, improvisation and poetry into facilities for youth offenders. Maggie's recordings on harpsichord include Bach's Goldberg Variations, Soler Keyboard Sonatas, Poulenc's Concert Champêtre, Boccherini Sonatas with Steven Isserlis, Bach flute sonatas with Philippa Davies and the complete Bach violin sonatas with Catherine Mackintosh. On fortepiano, her CD of Haydn trios with Trio Goya will be followed soon by a recording of the Opus 1 Beethoven trios. On modern piano, Maggie has recently released a CD of music by Philippe Gaubert with flautist, Idit Shemer.